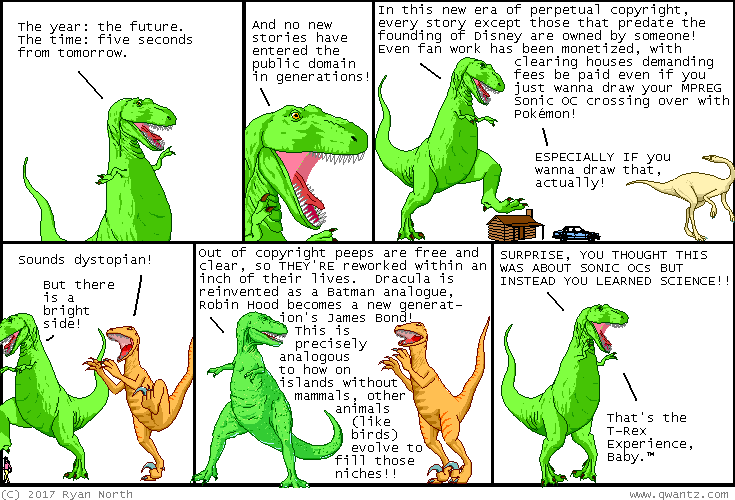 Dinosaur Comics - May 24th, 2017 - awesome fun times! May 24th, 2017: TCAF was super great! It is my favourite show every year and this year DID NOT DISAPPOINT. Thanks to everyone who came by and said hi!